The amazing thing is that as we discover and share the supporting evidence, which shows that “our common salvation” is based on a solid foundation of TRUTH, our faith and joy grows as well. During our time in Japan, visiting our supporting-churches Darryl has had the opportunity to speak about some of the evidence that proves that the bodily, miraculous, resurrection of Jesus Christ matches undeniable historical facts, while the alternative theories fail miserably. When we consider all of the evidence, we can identify with Thomas, when he had the opportunity to see, speak with, and touch the Risen Christ. All Thomas could say was, “My Lord and My God!” (John 20:28) When we finally come to the place when we recognize Jesus for who HE is, all we can say is, “My Lord and My God!” and all we can do is follow HIM at all costs. On April 18, Darryl was finally able to send the completed 145-page English manuscript of his second book, Christianity: Reasons for Faith to Fount of Wisdom Publishing. The completed English/Khmer bilingual book will be published in Cambodia in June or July. Sending off the manuscript reminds us of God’s faithfulness in making this book possible. This book had been on his mind for many years now. As we look back, we can see that the enemy did not want this book to be written or our ministry in Cambodia to continue. In January 2010, soon after beginning the research for this book, Darryl was struck with dengue fever. He continued researching until his fever reached 104 F, he could not read but he could listen to Defending the Faith lecture CD’s from Biola University. After being hospitalized, nearly dying, Kayo’s hospitalization with dengue fever, and Benjamin’s miraculous healing, the book project was put on hold until Darryl met Dr. Doug Collins in the fall of 2010. The rest of the writing and editing process was challenging. We lived in Kampong Chhnang at the time and the electricity became very unstable often with daily blackouts for 6-8 hours. For a while, Darryl could work by powering the computer, fans, and the rest of the house with a diesel generator. Later, the generator became unreliable and so the work continued using a Netbook computer with a 10 inch screen while trying to keep cool using a fan powered by a car battery. Despite these challenges, trials, attacks, and obstacles, the work could continue. God raised up faithful Christians in the US and Japan to help with editing, proofreading, illustrations, and funding. Darryl is humbled and blessed by God’s amazing faithfulness. Once the book is published in Cambodia, we will continue to cooperate with Fount of Wisdom Publishing to make the book available to Cambodians living in the US and other countries by publishing it through a new Christian Internet-based Print-On-Demand publishing company. After that, we are thinking about making an internationalized English version for missionaries so that they can in turn customize, translate, and publish versions of this book in many different countries and languages. The Anchors of Faith radio program is still on track to be broadcast on FEBC’s 99.5 FM station in Phnom Penh from July to December. FEBC continues to develop their broadcast and communication capabilities to better minister to listeners who call in for spiritual counseling. In addition to covering a broadcast area of 7 million people, there are also credible reports that officials at the highest levels of the Cambodian government are listening to 99.5 FM. At this writing, Darryl has written all 26 scripts for the Truth segment of the radio program and has sent them off to the translator. FEBC’s staff is diligently working on producing the remaining programs for broadcast starting in July. God has already provided 40% of the $2,340 needed for production and broadcast. Please pray that God will use the 13 hours radio program to; Open hearts of to the Gospel and give Cambodian Christians more confidence in the Truth of God’s Word so that they will not compromise their faith but will have more boldness in evangelism. Trinity Institute of Cambodia was able to hold its first two certificate/credit classes on March 19 and 20. The two classes are: Strategic Management and English for Strategic Management with eight or nine students each. Even though the enrollment is not enough “break-even” we are thankful for the start. So far, the feedback from the students has been positive. They feel like they are learning “twice as much” as they learn have learned in secular universities. This is just the beginning of what we hope will become a Christian university which will positively impact Southeast Asia until Christ returns. 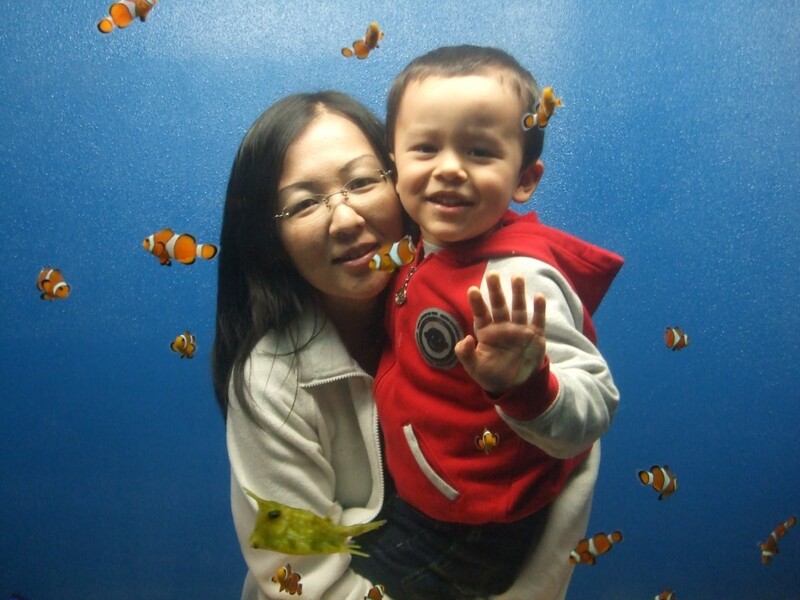 We may be able to bring Christian teachers and professors in from other Asian countries such as Indonesia and Japan. We are waiting for God to make His will and provision clear for these and many other amazing opportunities for partnerships with Christians internationally. Lord willing, we will be able to start more certificate/credit classes in July. Once the book, Christianity: Reasons for Faith is published in Cambodia, Darryl is considering using it as a textbook for new class which he wants to develop and teach which will equip TIC students with the evidence for God, the Bible, Jesus, and overcoming objections to Christianity. Our time in Japan has been amazing in many ways. 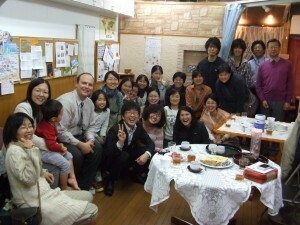 We have been able to fellowship with many Christians who have a real heart and mind for world missions. During our 10-weeks in Japan, we will visit and speak at 14 churches across Japan and have a booth at a one-day conference. In our “free time” Darryl has been finishing up the book, writing radio scripts, networking for Trinity Institute, and fellowshipping with friends. Kayo has been busy making travel arrangements, meeting flute teachers and friends, and practicing the flute in her mom’s closet. Benjamin has been a good traveler and over all good but needs prayer for his strong will. In Hiroshima, Kayo’s parents treat him like a prince. The grandparents are having so much fun with Benjamin that the neighbor complained that they were making too much noise! 1. Pray for continued stamina, health, and wisdom as we visit churches in Japan. 2. Pray for efficiency in our work so that our family can find some times for some much needed rest and relaxation before we return to Cambodia. 3. Pray for God to continue to open Kayo’s parents’ hearts to the Gospel. 4. 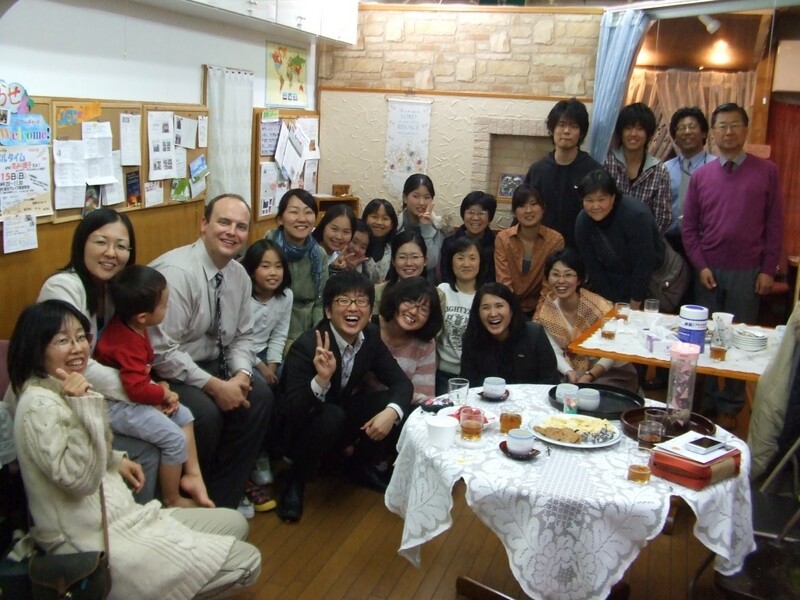 Pray for continued good relationships and grace from Christians in Japan because our family is frequently unaware of and out of sync with Japanese cultural conventions. 5. Pray for the book publishing and radio program production processes. 6. Pray for continued guidance, wisdom, and provision for Trinity Institute.